Elegant, well designed mailbox which radiates elegance and quality. Its beautiful elliptical shape and convex black side panels give it a modern appearance. The mailbox has separate compartments for letters and magazines. 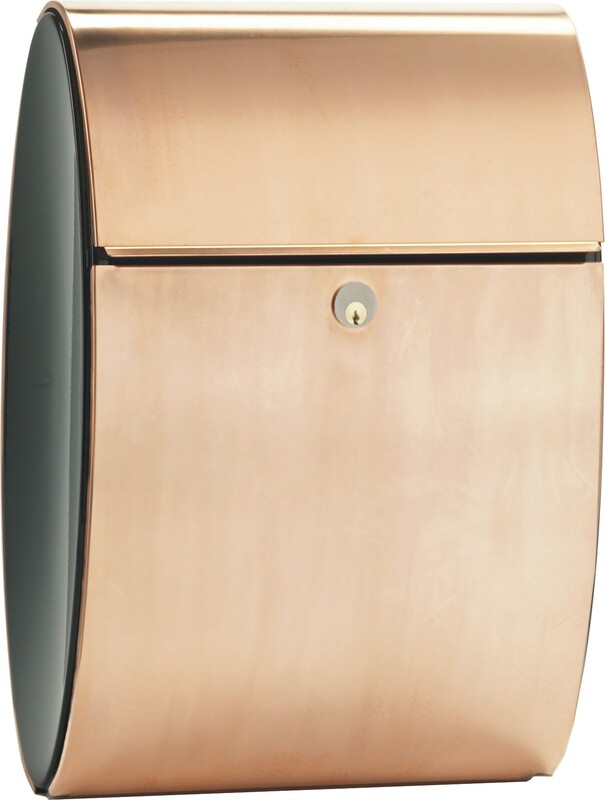 The Ellipse is made from copper and powder coated steel and comes with a heavy duty cam lock. Slot size: 12-1/4" x 1-1/2"